KARACHI (92 News) – PPP co-chairman Asif Ali Zardari has said that Prime Minister Nawaz Sharif has given them the first gift of 2016 by registering a case against his brother-in-law Munawar Talpur. In a statement on Saturday, he said that Nawaz Sharif had given them such a gift in 2015 as well. On the other hand, PML-N leader Daniyal Aziz said that institutions concerned are responsible for registering cases and acquitting the people. 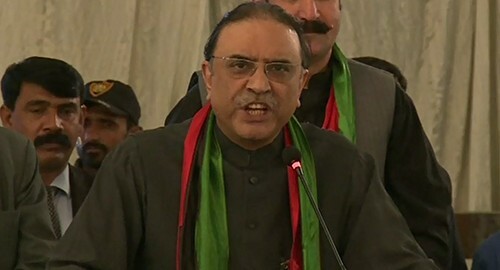 He said that allegations are leveled against Prime Minister Nawaz Sharif on the acquittal of Asif Ali Zardari.